Neath Photographic Society members are passionate about photography and eager to share their knowledge. 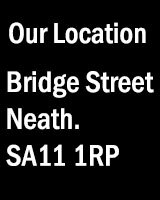 The education program is delivered by volunteer members of Neath Photographic Society. Our intention is to provide a structured course introducing the novice photographer to the basic principles of photography in a relaxed an informal environment. The course is delivered over 16 weeks covering basic theory and including practical sessions and learning through assignment. The course is intended to be lightweight and enjoyable, theory is taught only on a need to know basis so put your physics books away and learn through practice experience. The dreaded camera manual, rarely read and even more rarely understood even by experienced photographers. However, finding your way around the camera manual is a good place to start if you want to get the most out of using your camera. Reference to your camera manual will help you understand different aspects of camera usage specific to your particular make of Â camera so bring your camera manual along each week. The lens aperture is the hole or opening through which light travels through a lens. The lens aperture can be adjusted by altering the f-stop number. The larger the f-stop number, the smaller the hole and the smaller the amount of light striking the sensor. The lens aperture on modern cameras can typically be adjusted between 2.8 and 32. The precise aperture range available will vary depending on the camera and lens combination being used. The time light is allowed to strike the sensor is adjusted by changing the camera shutter speed. The higher the shutter speed number the faster the shutter opens and closes reducing the time light is able to strike the sensor. Most modern cameras allow the shutter speed to be adjusted from always being open to very high shutter speeds in the region of 8000 this means the shutter is open and allowing light to strike the sensor for 1/8000th of a second. The range of shutter speeds available will depend on the camera being used. By making adjustments to the lens aperture and camera shutter speed it is possible to select the most appropriate combination of aperture and shutter speed for any given lighting conditions. Tip: It is important to understand how to adjust the lens aperture and shutter speed on your camera. Refer to your camera manual and learn how to adjust the lens aperture and shutter speed control on your particular camera. Most modern cameras have several shooting modes; fully automatic, shutter priority aperture priority and manual in addition to several other custom settings. To make adjustments to lens aperture you will need to select aperture priority setting on your camera – ‘Av’ on Canon or ‘A’ on Nikon cameras or select manual operation. Tip: if you are having trouble understanding your camera controls, donâ€™t panic. A member of the Society will be happy to help but don’t forget to bring your camera manual along with you there are many different camera manufacturers and reference to the camera manual is often necessary.